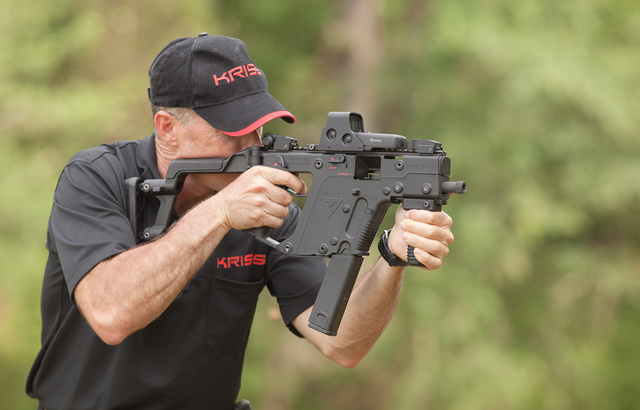 Kriss shown at Lucky Gunner shoot. Uses Glock 21 magazine extended to hold 25 rounds. This entry was posted in weapon and tagged 45ACP, Kriss, submachine gun. Bookmark the permalink. They should try smuggling the guns into some Hollywood movie.. would make great advertising.